Home / FEATURED MERCH! / SUBMIT Merch Now Available! SUBMIT to The Screen. Your reckoning is here. 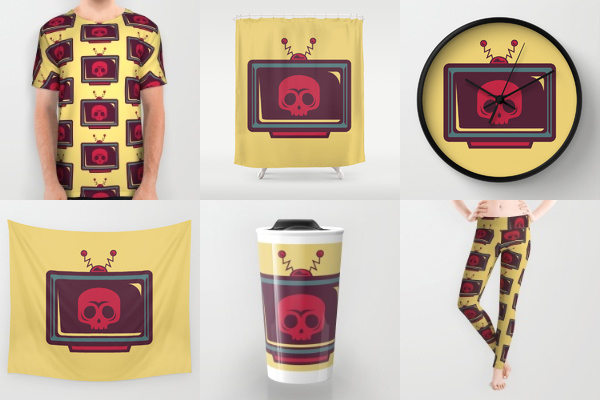 I’m pleased to announce that I revised the skull tv design I did. I lost the work file so I had to remake it, but hey I like this design. Consider it a labor of love. Some simple vector work over here. This little Submit icon has become somewhat of a logo for Strange Things. I’ve always kinda dug it’s simplicity. One time, it blew up on Tumblr too which was cool. 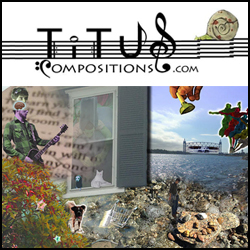 Now, Submit is available for prints, t-shirts, cases, etc. Looks great on your coffee mug. Or even your pillow! 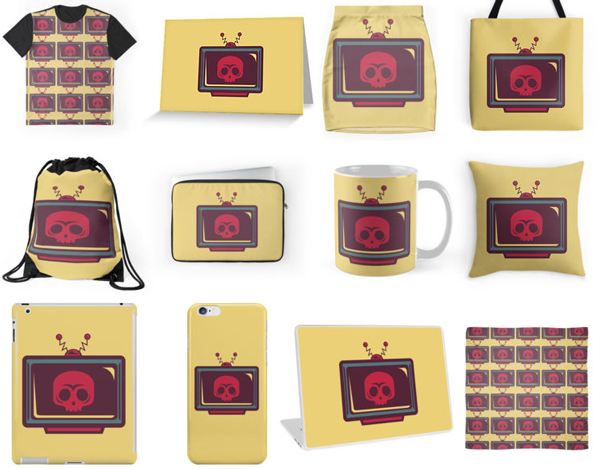 I played around for awhile in the Redbubble shop trying to make these look cool. I bought the Submit pillow and I was amazed at how well it printed. It took a minute to get delivered, but holy crap. The quality was exquisite. I’m going to grab some stickers from there too, because I bet those would look, heh, pretty neat. You can see a handful of the products available at the Redbubz on top! It’s also available at Society 6 too. There you can get it on even more things. Like all over printed t-shirts, clocks, tapestries/blankets, shower curtains (seriously), and even rugs. As much of a pain as it is to upload everything to their very specific, very unforgiving templates, the end result looks great. And their art prints are fantastic. I’ll put the images for a handful of Society6 stuff below if you’re interested in thecking it out. Both stores are amazing. This one holds a place near and dear to my heart. It was very satisfying to see sprawled out on a laptop case, or even displayed on a mug. I’m really happy to see this little vector put to good use.